Though currently approved projects like the Tennessee Valley Authority's plan for operating five wells to draw water from the Memphis Sand Aquifer won't be affected, a piece of legislation filed by two Shelby County legislators could substantially affect future water policy locally. 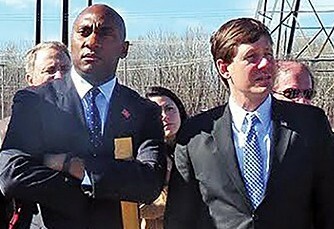 State Senators Brian Kelsey (R-Germantown) and Lee Harris (D-Memphis) have filed a bill that would establish a Memphis Sand Aquifer Regional Development board with approval powers over any pumping of more than 10,000 gallons of water from the aquifer, source of the Memphis area's drinking water. A TVA plan to drill into the aquifer via five new wells has been sanctioned by the Shelby County Water Quality Control Board but is still opposed by a group of environmentally minded citizens, who are concerned about possible leak-through contamination of the aquifer, among other issues. The expressed purpose of the TVA drilling is to obtain some 3.5 million gallons of water daily from the aquifer to serve as coolant for the Authority's forthcoming natural-gas power plant. Though the bill presented by Kelsey and Harris will not offset the Shelby County Water Control Board's previous approval of that project, it was directly inspired by environmental concerns and would impose stringent new conditions for any future such proposals. 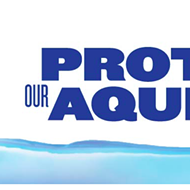 And a current lawsuit filed in Chancery Court by The Sierra Club and the Protect Our Aquifer nonprofit group challenges the Water Quality Board's action and offers a possible means of reversing TVA's license to pursue with its aquifer-drilling project. "On February 1, 2017, Protect Our Aquifer, along with the Sierra Club, filed a petition for a writ of certiorari in Shelby County Chancery Court seeking judicial review of the Shelby County Groundwater Quality Control Board's decision upholding the issuance of well permits to TVA to draw potable water directly from our Memphis Sand Aquifer. "The case was assigned to Chancellor Jim Kyle. On February 9, 2017, Chancellor Kyle signed an order instructing the clerk of the court to issue the writ requiring the board to submit the record from the administrative proceeding to the court within thirty days. "This is the first step in the appeal process." 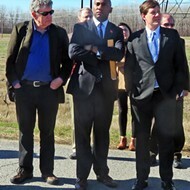 (NASHVILLE), February 14, 2017 — State Senators Brian Kelsey (R-Germantown) and Lee Harris (D-Memphis) have filed legislation in the Tennessee General Assembly setting up a Memphis Sands Aquifer Regional Development Board to protect water supplies in West Tennessee. Senate Bill 776 also requires board approval to pump more than 10,000 gallons of water from the aquifer to ensure its long-term viability. It is sponsored by Rep. Ron Lollar (R-Bartlett) and Rep. Curtis Halford (R-Dyer) in the House of Representatives. The action follows approval given to the Tennessee Valley Authority (TVA) to pump approximately 3.5 million gallons of aquifer water each day to cool its new power-generating plant in Southwest Memphis, a move which is deemed controversial by some scientists and environmentalists. Under the bill, the board would have all of the powers, rights, and privileges necessary to manage, conserve, preserve, and protect the aquifer, and to increase the recharge of, and prevent the waste or pollution in, the aquifer. The nine-member board would be fairly comprised of the mayors of Shelby and two other West Tennessee counties overlying the aquifer. The governor would appoint the remaining members with two from the agricultural community, two from commerce, and two from the environmental/research community. In addition, Senate Bill 886, sponsored by Harris and Kelsey, requires anyone planning to drill a well to give at least 14 days advance notice to the state commissioner of the Department of Environment and Conservation with the notice published on department’s website. Rep. G.A. Hardaway (D-Memphis), Rep. Lollar and Rep. Halford are sponsoring the bill in the House of Representatives. The water stored in the Memphis sand aquifer, which is also known as the Middle Claiborne, first fell as rain 332 BC. It covers 7,500 miles in portions of seven states, including 20 West Tennessee counties. Although aquifers are used for drinking water by more than 100 million Americans, Kelsey said the quality of the Memphis aquifer is unsurpassed.